It was only a slightly selfish decision on my part because although I had been dying to try this infamous dessert, I also knew that it was one of the birthday boy’s favorites. Poppop and I used to make flan quite a bit growing up. I’d carefully measure out the caramel into the bottom of our glass dishes while he handled cooking the custard over the hot stove. And then we’d wait for it to chill. Waiting was the hardest part, but we usually had a good bowl licking and Mommom’s home cooked dinner to hold us over. And then we’d dig in. The first spoonful was always my favorite. There is something magical about the caramel oozing up from the sides of the bowl and enveloping the silky custard. I wasn’t a quiet flan eater either; I’d slurp every last bite allowing the flavors to simultaneously explode and melt in my mouth. And if we’re being honest, I’m still not the quietest flan eater and I’m okay with that. So back to this cake. 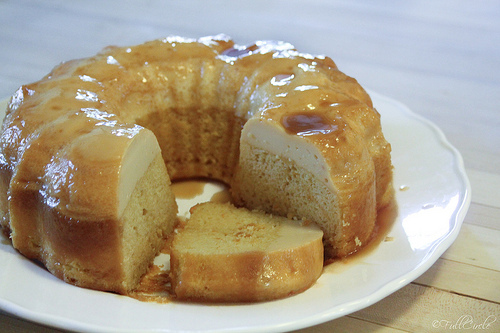 Mom’s Flan Cake is the best of all world’s; everyone loves it because it satisfies the cake lovers and non-cake lovers alike. And for me and Poppop? It satisfies all of the above. There isn’t much about this hybrid flan and tres-leches-like cake combination that one wouldn’t love. 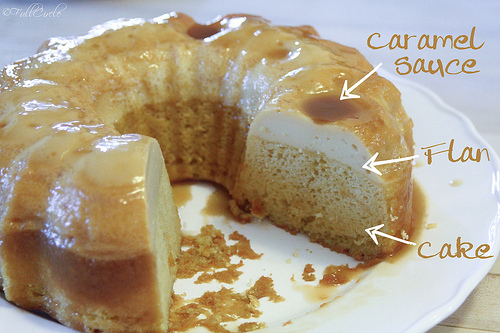 The cake is porous, allowing it to soak up all of the delicious dulce de leche and remain super moist. The flan perfectly sets into the familiar silky custard that just begs your spoon to glide through it bite after bite. Even after an afternoon of marathon BBQ consumption, everyone enjoyed a generous slice. I can’t speak for the rest of the family, but I whole heartedly considered a second piece until the reality sunk in that I could not eat another bite even if I wanted to. 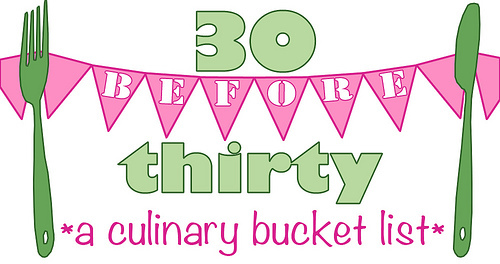 I do hope you’ll celebrate something special with this recipe and have another slice for me! 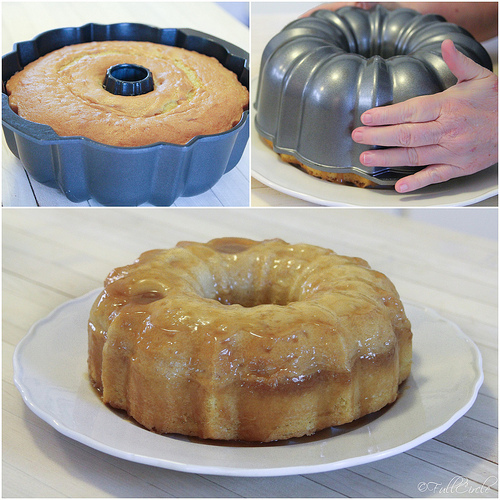 Preheat oven to 325 degrees Fahrenheit and prepare bundt pan with cooking spray. 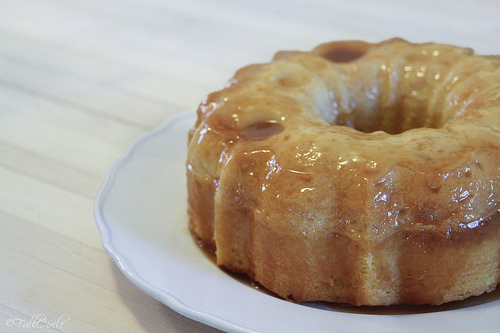 Pour dulce de leche evenly ove bottom of bundt pan and set aside. Beat together 3 eggs, sweetened condensed milk, evaporated milk and mexican vanilla with either a hand mixer or stand mixer. Pour over dulce de leche. Prepare cake mix according to package directions with water, oil and remaining eggs. Pour over the flan mixture. Allow to cool completely for at least 30 minutes before inverting onto a serving plate. (I recommend chilling in the refrigerator prior to inversion and serving). Top slices with homemade whipped cream and enjoy! 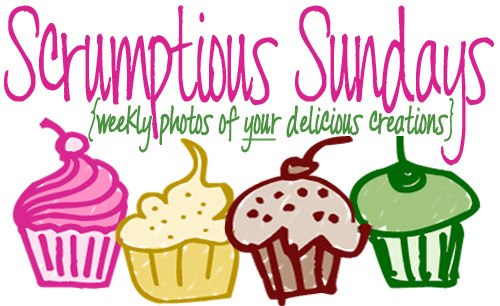 *You may vary this recipe by using different cake mixes. I have seen Chocolate Flan Cakes made using a devils food cake mix instead of yellow. I’m thinking funfetti could be exciting for an extra special birthday cake.